A year and a half ago, London-based television producer Lara Acastar contacted the Center for Advanced Spatial Technologies, seeking a technical expert for a new documentary series on ancient structures. It was a good match on paper. CAST has a reputation as one of the top research centers in the world in the field of geospatial imaging. Acastar’s company, Atlantic Productions, has made won numerous coveted awards, including several BAFTAs, Great Britain’s equivalent of our Emmys. The idea became a project and the project became a series. Time Scanners will air nationally on PBS on July 1, July 8 and July 15. The public is invited to watch the premiere episode on the U of A campus in Ken and Linda Sue Shollmier Hall, Room 250 of Vol Walker Hall. The event kicks off at 6:30 p.m.
I’ll return to the series in a moment. Back to January 2013. Within days, the two sides began planning trips that would take CAST’s researchers to historic locations around the world, including the pyramids in Egypt, St. Paul’s Cathedral in London and the ancient desert city of Petra in Jordan. They were filmed doing what they do best, using their advanced remote sensing technology to collect and analyze billions of measurements to form what is known as a point cloud, which provided a 3-D perspective of these structures but also solved some of the enduring engineering mysteries surrounding them. 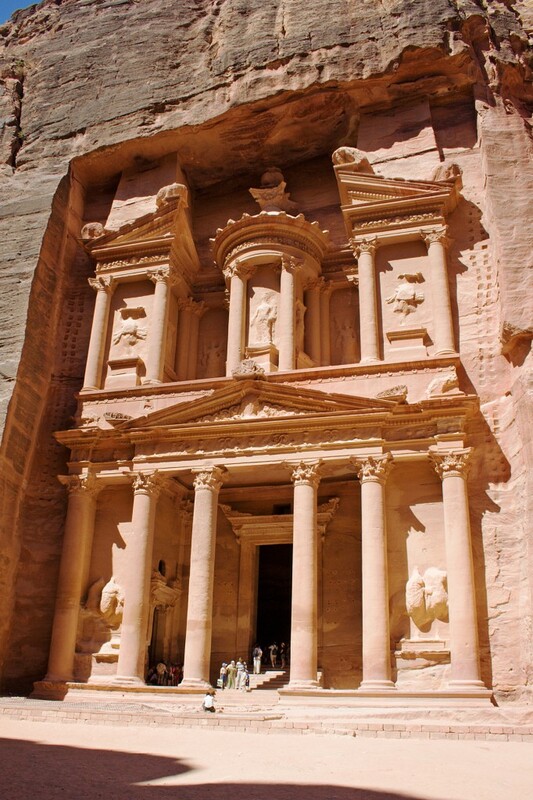 The 1989 film was a huge hit and it remains a huge lure for tourists to Petra, a historical and archaeological city in southern Jordan. Roadside gift shops are abundant in the area. 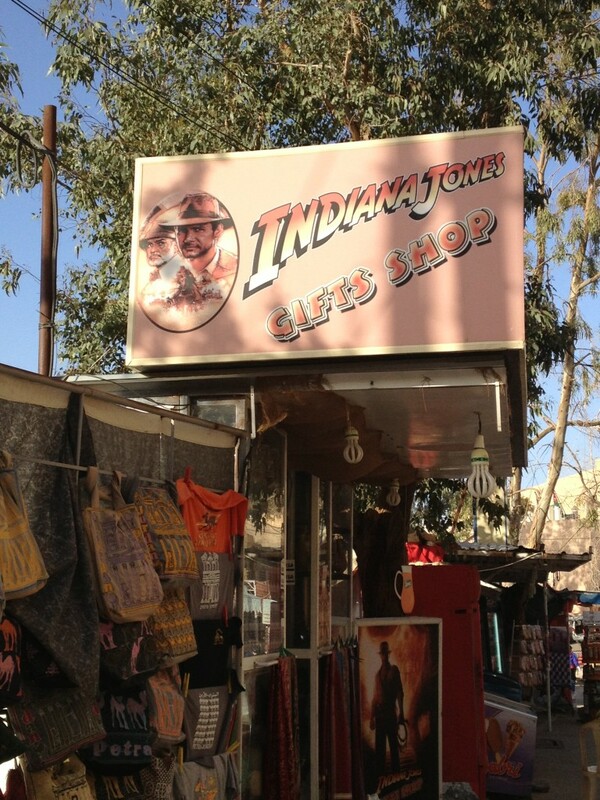 Malcolm said that this particular shop was not far from the hotel in which the production team stayed, near the entrance to the archaeological park that draws hundreds of thousands of tourists each year. The episode featuring Petra airs on July 15. Time Scanners premieres July 1 with “Egyptian Pyramids.” For the episode, Stevens and Williamson traveled to Egypt to scan the pyramids — the tombs of the mighty pharaohs — to find out how they evolved from simple mud-brick structures to the most impressive buildings in the ancient world. On July 8, the series shifts to St. Paul’s Cathedral in London, designed in the late 1600s by Sir Christopher Wren and famed in recent years as the location of the marriage of Prince Charles and Lady Diana Spencer. The researchers were tasked with finding out how Wren overcame unstable foundations and immense structural forces to support his dome, and also to investigate how the cathedral was able to survive a direct hit by a German bomb during the blitz of London in World War II.